This highly anticipated Air Jordan 11 color way released yet again in Summer 2014 albeit in a low top form. 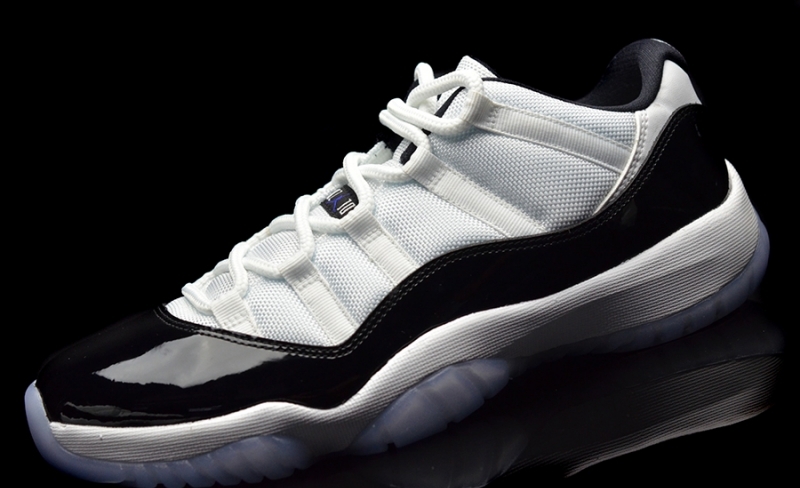 Aside from the classic Concord color way dropping multiple times, this model was technically a PE for Michael Jordan in '96. Sporting White mesh and Black patent leather, the sneaker finishes things off with one of the iciest outsoles Jordan Brand has put out thus far.